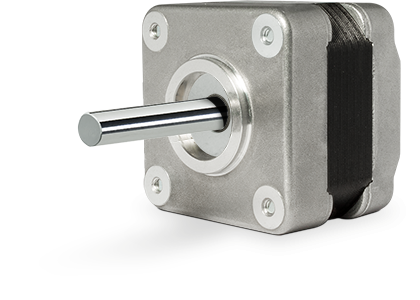 Hybrid Stepper Motors are direct drive brushless motor with high-precision, zero ‘float’ mechanical properties. They feature the following particularly desirable characteristics: high precision, permanent reliability, absence of maintenance, and toughened to handle extreme environmental conditions. Our developments are based on electric motors and mechatronic drive systems with contact-free technology, to produce linear or rotary motion. Stepper or brushless DC motors, sensors, gear trains, and electronic controls: these are the key elements of your tailored mechatronic system. Positioning, dosing, regulating: for each motion challenge, a solution perfect in size, durability, robustness, noise level, and much more.